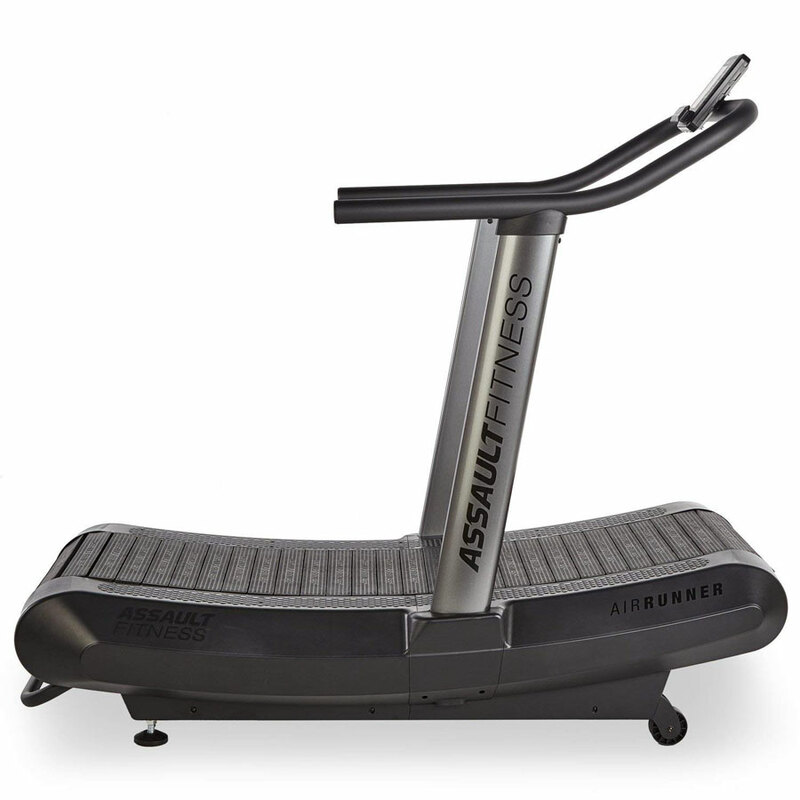 Go from 11MPH to 0MPH to the couch in 2 seconds flat with the AirRunner treadmill trainer. 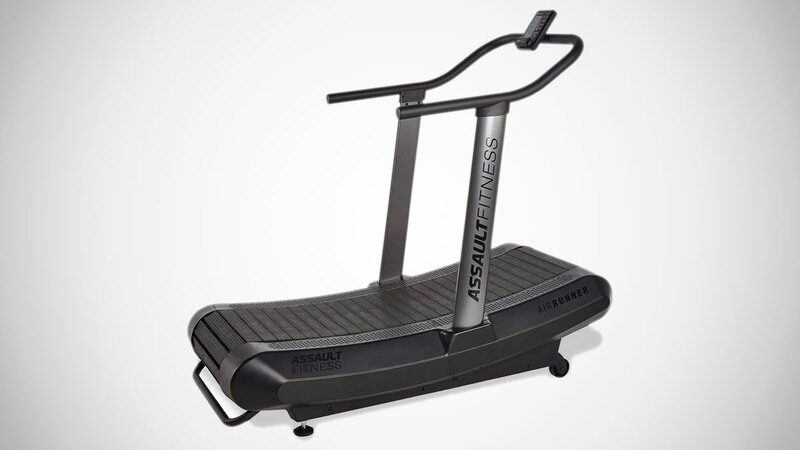 From Assault Fitness, who also make the CrossFit-loved AirBike, the AirRunner runs on human power. 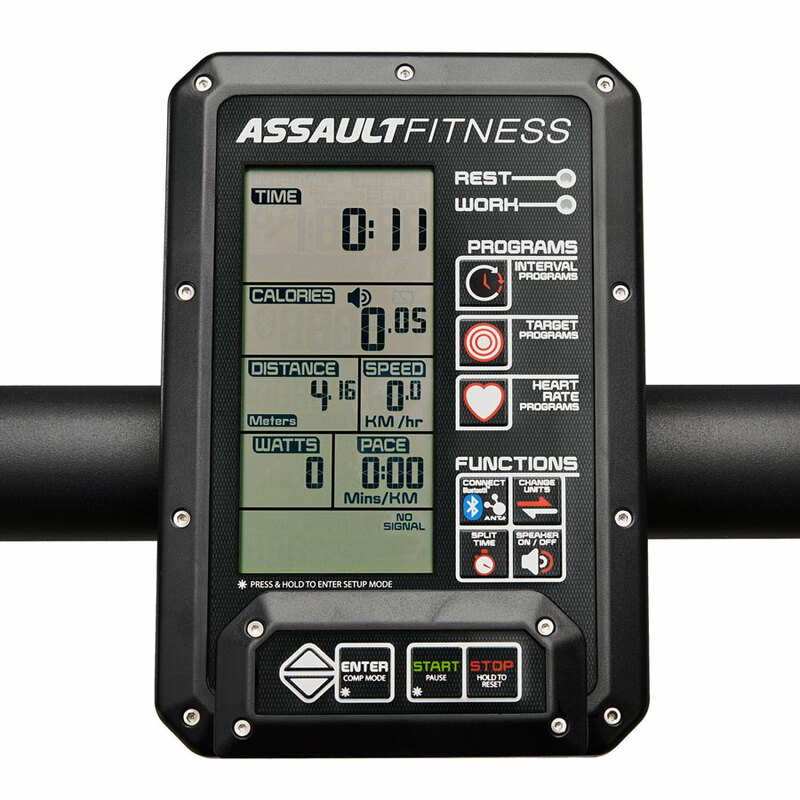 Your movement gets the belt revolving, and your body's input determines its speed, both at the upper end when you want to sprint, and right back down to a walk when you need a break. 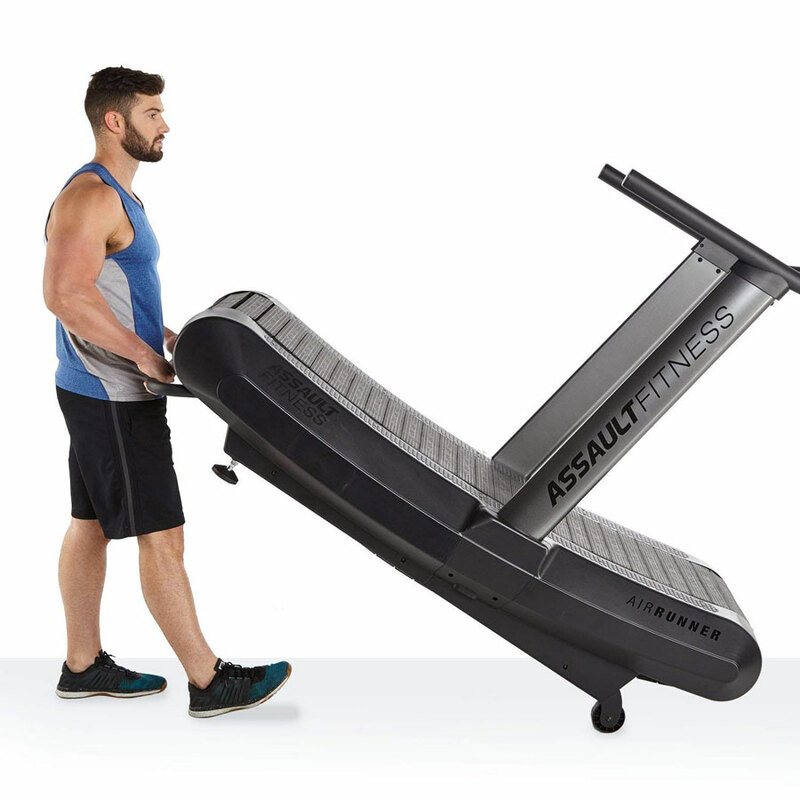 Enabling the user to change speeds at will make the AirRunner a swell companion for high intensity interval training (HIIT) and Tabata-style workouts that a motorized treadmill cannot respond fast enough to serve very well. 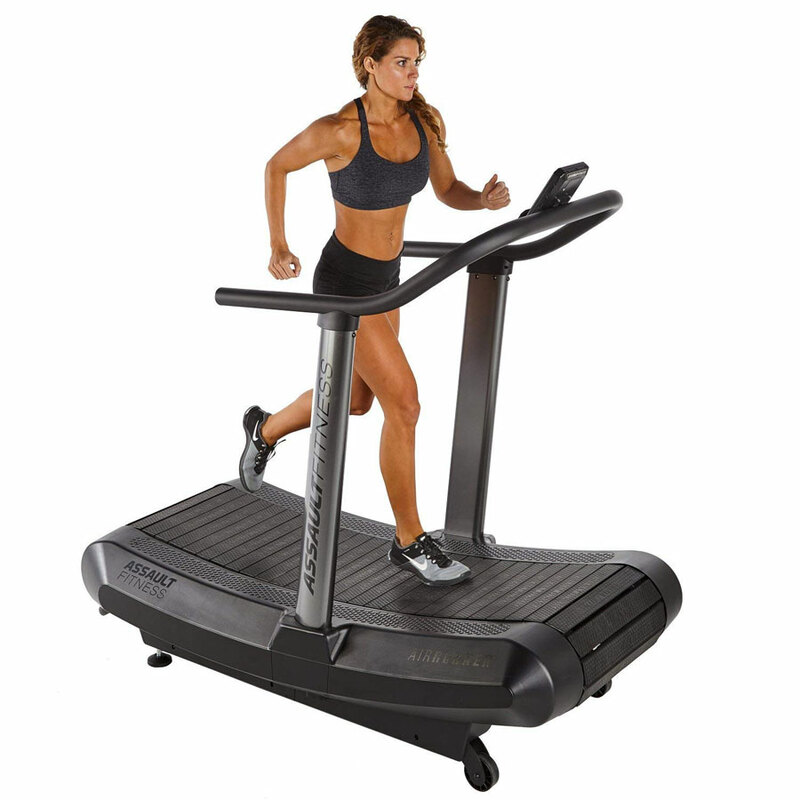 The AirRunner is 33" wide and extra lightweight for a treadmill at 280 pounds. Its energy consumption is limited to whatever you've got ready to unleash from within.